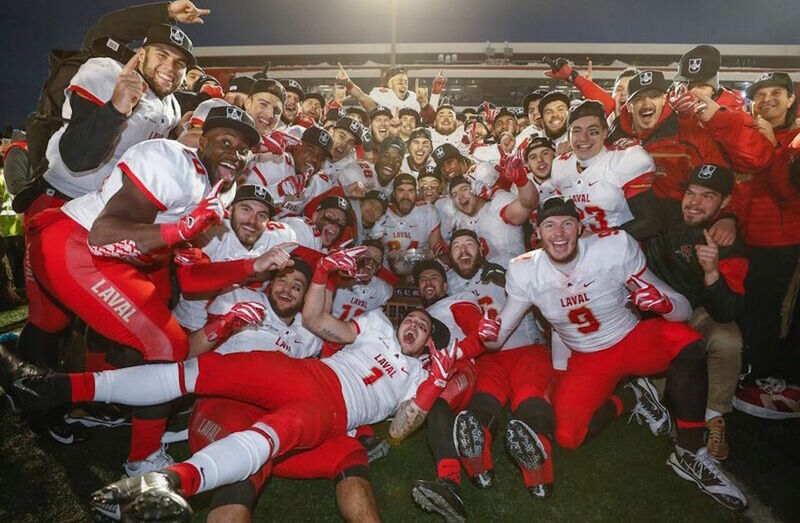 The Laval Rouge et Or defeated the Western Mustangs 34-20 before 12,380 fans Saturday afternoon at TELUS-UL Stadium, to claim the 54th Vanier Cup Presented by Promutuel Insurance and improve their U SPORTS record to 10 national titles. It was Laval’s fourth perfect season, following previous undefeated campaigns in 2008, 2010 and 2013. The Rouge et Or also kept Western from breaking their U SPORTS all-time record winning streak, stopping the Mustangs at 23 victories. Laval won 25 games in a row from 2012 to 2014, including two national titles. Rouge et Or head coach Glen Constantin knew his team would not repeat their mistakes from a year ago in Hamilton, when Western beat his team for the championship. For the second time of his career, Richard earned the Ted Morris Memorial Trophy, awarded to the game’s most valuable player. 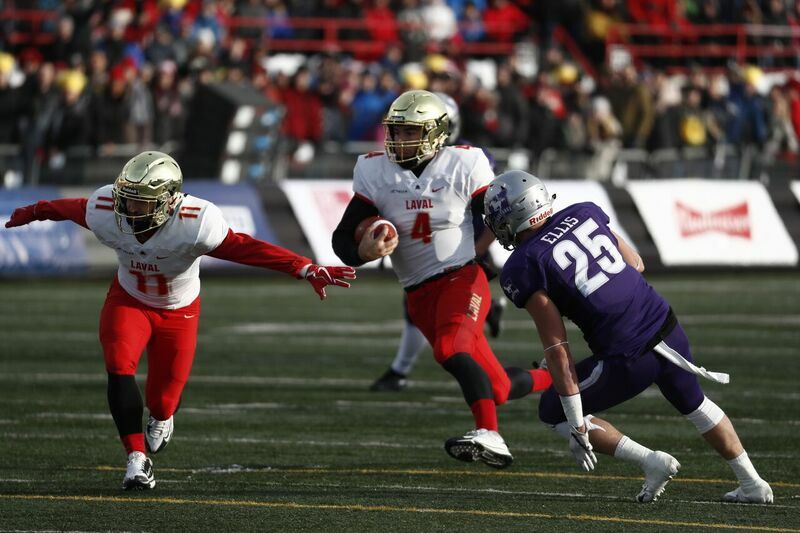 In his last game at Laval, Richard completed 23 of his 31 passes for 348 yards and two touchdowns, while adding 60 yards on the ground and one major. We prepared accordingly, we put more weight in the box and we did really well. Third-year linebacker Adam Auclair was awarded the Bruce Coulter Award, as the defensive player of the game. Auclair made two crucial plays at the beginning of the second half - a huge tackle for loss on a second down and an interception - that led to 10 Laval points. Western head coach Greg Marshall felt those two key plays by Auclair changed the course of the game. For Western, it was their worst offensive performance since a 19-18 narrow win against McMaster in the last regular season game of 2016. The Rouge et Or didn’t waste any time, scoring the first touchdown of the game only 61 seconds in. Hugo Richard threw two deep passes – a 45-yarder to Jonathan Breton-Robert and a TD play of 46 yards to rookie Vincent Forbes-Mombleau for a 7-0 Laval lead. The Uteck Bowl champions’ defence also came to play: Maxym Lavallée picked off Chris Merchant’s second pass of the day, leading to a 23-yard field goal from David Côté. With 6:10 to play in the first frame, Laval was up 10-0, a score that would last until the second quarter. The Mustangs cut the deficit to three points at the beginning of the second frame, when Cedric Joseph rushed for one yard, capping a 78-yard drive by Western. But Laval answered right back. 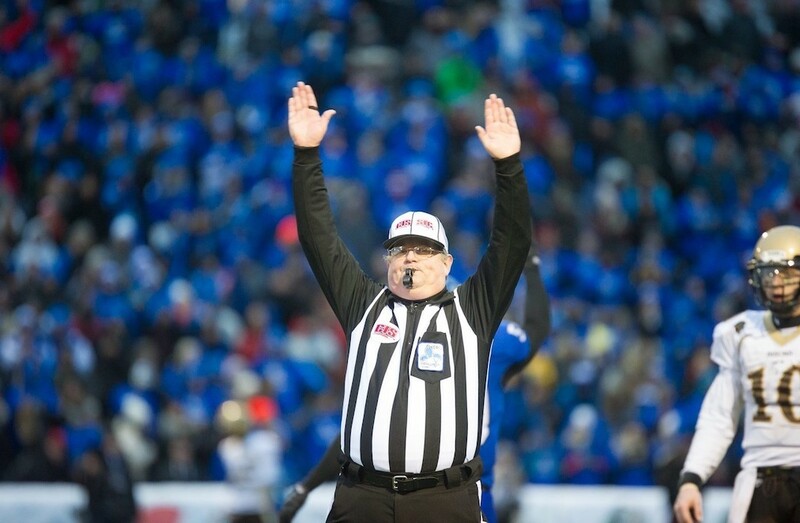 After successfully converting a third-and-short at midfield, Richard found Benoit Gagnon-Brousseau in the end zone and the Rouge et Or were up by 10, at 17-7. Western would add two field goals before the end of the half. The OUA champions converted a third down, before Marc Liegghio kicked the ball through the uprights from 36 yards out. Liegghio then did it again on the last play of the first half, an 18-yard kick that put the score 17-13 favouring Laval. The Rouge et Or defence then played a big role in the first points of the second half. The Mustangs get the first possession of the quarter, but it was short-lived. A tackle for loss from Adam Auclair forced Western to punt from deep inside their territory. Laval got the ball back in Western’s end and drove down the field, before Richard scored a touchdown on a six-yard run that put his team up 24-13. Auclair shined again on the following Western possession, picking up a pass from Merchant and bringing it back 38 yards. 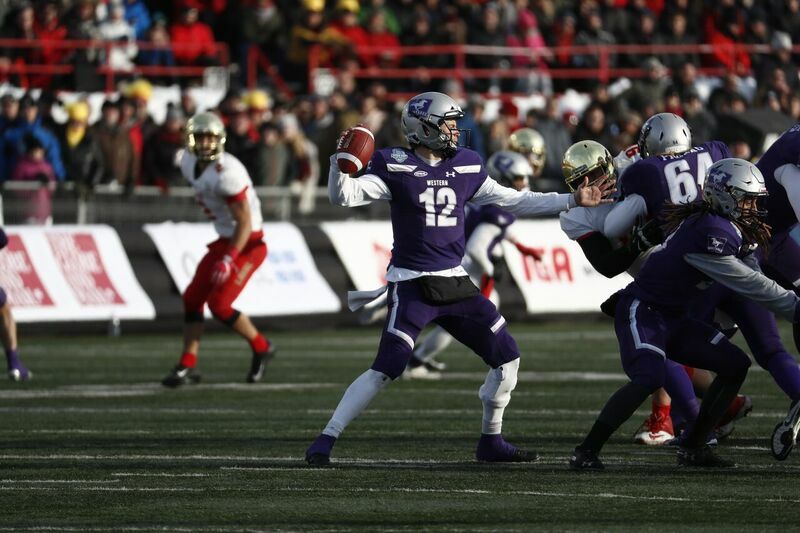 Laval couldn’t penetrate the end zone, but Côté was perfect on the 9-yard kick, extending Laval’s lead to 27-13. Western then missed a field goal with less than a minute to play in the frame, and after three quarters, Laval was up by 14 points. Laval’s defence would shut the door in the fourth, while Alexis Côté would put the game out of reach with a 7-yard run for the major with 5:35 to play. Western would get another TD late in the fourth, but it was too late: the Rouge et Or could celebrate a national title for the 10th time in their history.